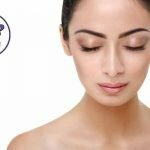 What Does Skin Purging Mean? Have you ever tried a detox mask, woke up the next day and your skin is covered in breakouts? That is the result of skin purging. Skin purging and breakouts are essentially the same thing, it’s just the causes of them that are different! So, why does the skin purge and is it a normal type of breakout? Skin purging is typically a response to a treatment that was too harsh or stimulating for the skin, or to a product that helps to clear impurities. For example, if your skin was to purge after a detox mask, the blemishes are a result of your skin ‘flushing out’ the bad stuff. In contrast, regular blemishes can be a result of a poor diet, bad skincare routine, poor hygiene, such as not washing your brushes regularly or touching your face often. Skin purging doesn’t mean the product you’re using is terrible. In fact, the product may just need a week or two before you start seeing fantastic results. It’s likely that when your blemishes clear, your skin will look bright, luminous and clear. How to tell if your skin is purging or having a regular breakout? If you’re unsure as to whether your skin is purging, ask yourself a few questions? Have you introduced a new product into your skincare routine? Where are your blemishes located? Are they in a different place to normal? If you answered yes to these, your blemishes are likely to be a result of skin purging. 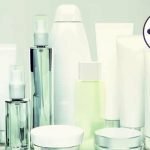 If you’ve introduced a new product like a chemical exfoliator, your skin may just need time to adjust. 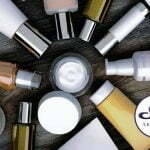 Keep using the product and if you see no improvement in your complexion, you should discontinue use. With any breakout, keep your skin moisturised and use a tea tree or salicylic acid spot gel directly on your blemishes to treat them. How Do I Use Acids in My Skincare Routine?